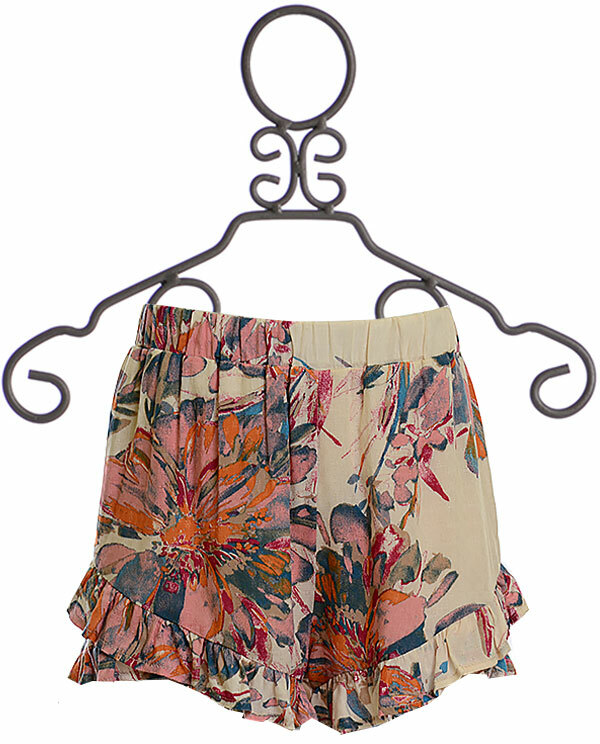 $46 - Ready to dress up her look, these new tween shorts are just in from PPLA. PPLA is a trendy brand based out of California. The ivory shorts have an easy pull on fit with the elastic waist. The wide cut legs allow the fabric to drape comfortably and helps to keep her cool during the heat. Warm tones are found in the large floral print. Her hemline is finished with a ruffle. Love this print? The PPLA Girls Floral Print Dress features these same blooms!